Which one of these three are your favourite this month? Welcome to the next Map of the Month contest! We got 3 entries this month (one from me because why not lol), so let's see what they are! Rife with gambling, sea creatures and colors, Level 8 - The Kraken, aka The Seaworn Casino, presents a new challenge for Prometheus as all of his flame-like items are unusable and he must find his way to the God of the Sea, Poseidon, to take back something precious to him. Looking back through some very old files and I found this old piece of work. 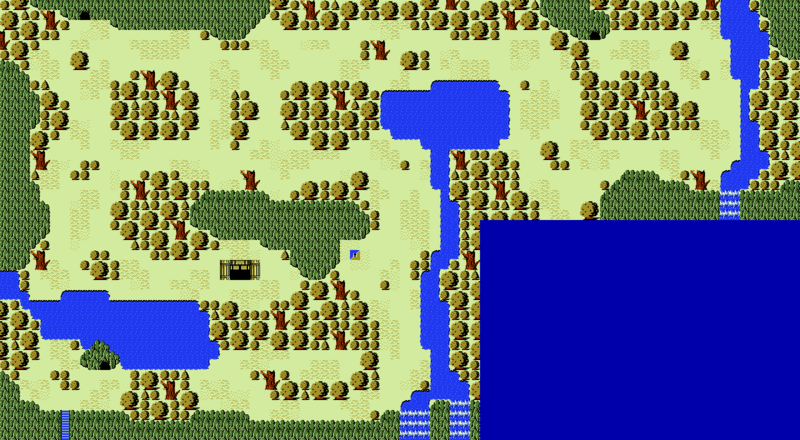 Featuring the very first overworld I completed at 10 years old. With a map like that, I'll have no choice but to vote Eddy. My one issue with Avataro's is that building, which I don't entirely think works. Other than that, it's great. Eddy's is rather nice, though it has some clear issues (understandably), but actually looks decent. I mean, random switches of colour between screens is a bit odd, as are the number of large empty screens at the top right, but it's rather good. Still the least good ( ) but good. Anyway, voted Shoshon, despite the fact that I have little to say about it. Voted Shoshon. Avataro's map is a little too plain for my liking, while Eddy's is a little too busy. Also, do I spy a screen using Link's cset in Eddy's map? Also, do I spy a screen using Link's cset in Eddy's map? Yes that is exactly what's going on there. 10 year old me thought it would be great to have a Link's CSet screen. Voted for the inventive location and good detail of Shoson's. Avataro... very low amount of different tiles, low variation of tiles, no 16bit and the tileset is neither new nor yours. This is nothing special even for a nothing special map. I'll be the first to vote for Eddy: I like it when every screen is distinct and memorable. Though the mix of styles in Eddy's map is pretty extreme, I think it would be difficult to get lost. I can't say the same about the other maps, though they are solid on a technical level. Voted Shoshon The Elegant. It stands out to me as being a unique take on the Classic tileset. Welcome to the Fanta Sea. Enjoy your trip and don't forget to have a taste of the water! Here are the results for this month. Map of the Month 100 will be up momentarily.